Led by Frode Strømstad (vocals, guitar) and Anne Lise Frøkedal (vocals, guitar) and featuring bandmates Ole Reidar Gudmestad and Arne K Mathisen the members of Norwegian guitar pop act I Was A King formed the band in Egersund, Norway a picturesque town located on the country’s windswept, Southwestern coast. The band’s forthcoming, Norman Blake-produced album Slow Century is slated for a March 8, 2018 release through Coastal Town Recordings, and the album, which was written, recorded and pressed to vinyl in their hometown thematically illustrates the tension between the lust for new adventures and the comfort of everyday, mundane, small-town life. Featuring Bede (pronounced BEEd) (vocals), Tommy (guitar), Neely (keys), Joe (bass) and Patch (drums), the Sydney, Australia-born, Stateside-based members of up-and-coming indie rock quintet Castlecomer are composed of four cousins and a close childhood friend, who began playing live shows when they were teens. And as the story goes, they derived their band name from a plaque mounted outside their grandfather’s house, which they later found out also referenced the Irish village that their grandfather’s family had emigrated from. Interestingly, the quintet quickly exploded into the national and international scene with the release of their smash hit single “Fire Alarm,” an anthemic single that amassed over six million streams while drawing comparisons to The Strokes and Daft Punk and receiving praise from Rolling Stone Australia. With a rapidly growing profile, that included highly praised SXSW appearance last year, Concord Records signed the band — and taking a massive leap of faith, the Australian-born members of the band relocated to the States to make a name for themselves. The band’s forthcoming Adrian Breakspear and Jean-Paul Fung co-produced, self-titled, full-length debut is slated for an October 5, 2018 release and the album reportedly finds the band pairing old school rock ‘n’ roll abandon with meticulous pop craftsmanship; in fact, the album’s upbeat lead single “All of the Noise” is centered around enormous and rousingly anthemic hooks, shimmering guitar chords and earnest, larger than life emotionality — and in some way, the single recalls The Smiths, The Strokes and others. The recently released, cinematically shot video features the members of Castlecomer performing the song in a sunlit, abandoned, graffiti covered church, and as they’re performing, two adorable little black kids, who have a sibling-like closeness run around, roughhouse and just have a genuine childlike joy play outside the church, and discover the band playing the song. With the release of their 2015 debut Rapid Rewards, the Chicago-based trio Clearance, comprised of Mike Bellis, Kevin Fairbairn, and Arthur Velez, have developed a reputation for witty and observational indie rock that draws inspiration from 60s bubblegum pop, jangling ’80s New Zealand indie rock, 90s slacker rock and even contemporary acts like Omni, Rolling Blackouts Coastal Fever and others. The band’s sophomore effort At Your Leisure is slated for a July 27, 2018 release through Topshelf Records and the album thematically draws a bit from the trials and tribulations of an indie rock band in the today’s music industry — with the album’s title being a joking play on the glacial pace of the the album release cycle; but the album is also reportedly the culmination of a number of long tours, breakneck writing sessions and the bandmembers evolving friendship as they’ve become older and wiser. Sonically speaking, At Your Leisure is a love letter guitar pop and the guitar pop song; in fact, the majority of the album’s songs came about after Bellis made a trip to New Zealand back in 2016. And as a result, the songs are reportedly breezier, more propulsive and with razor sharp hooks; in fact, the album’s latest single “Haven’t You Got The Time” features jangling and shimmering guitar chords, a propulsive rhythm section and an infectious hook — and while displaying a winning, radio friendly sound, the song manages to be far darker and cynical than it’s initially sunny vibe, as it was written during the messy and bittersweet disintegration of a relationship. Unlike most songs of its ilk, the song’s narrator recognizes that his partner has emotionally left some time ago, and is looking for a way out and away from him, and it gives the song an old and familiar ache. Currently comprised of founding members Chris Rosi (rhythm guitar, vocals) and Corey Cunningham (lead guitar, keys), along with newest members Jenny Moffett (bass) and Brice Bradley (drums), the Los Angeles-based indie rock outfit Smokescreens can trace their origins to when its founding duo initially met and became friends while touring in their previous bands — the critically applauded Plateaus and Terry Malts — back in 2011. By 2015 Rosi and Cunningham relocated to Los Angeles to start Smokescreens, an act that they’ve described as a love letter to the 1980s New Zealand’s Flying Nun Records scene. As the story goes, after cutting their teeth playing in bars and bowling alleys across Southern California, Rosi and Cunningham recruited engineer/drummer Jon Green to help them put their shambling love letters to Kiwi guitar pop on tape. Initially released through Cunningham’s Parked in Hell Records and re-issued by Spanish indie label Meritorio Records, the Los Angeles-based indie rock band’s self-titled, full-length debut was recorded in a disused dairy factory and was mixed in mono. 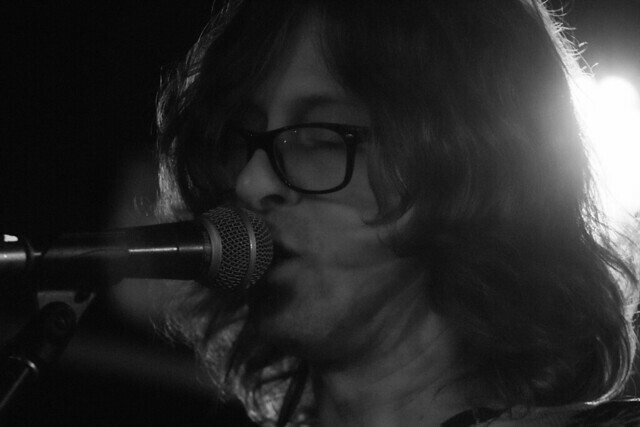 After Jon Greene’s death, the band decided to continue onward, recruiting their newest members Brice Bradley and Jenny Moffif, which enabled Cunningham to switch to lead guitar and keys. As a newly constituted quartet, the band spent time tirelessly working, nurturing and refining their sound and writing batches of songs before eventually heading to Primitive Ears Studio to track the ten songs that would eventually comprise their sophomore effort Used to Yesterday in rapid-fire fashion. Armed with tapes from the sessions, the members of the band brought them to The Allah-lahs‘ Kyle Malarky, who created a final mix that reportedly captures the band’s rhythmic drive and melodic verve. Unsurprisingly, the band’s sophomore effort continues the band’s longtime obsession with 80s, New Zealand guitar pop — but while expanding upon it, incorporating some new influences, including Messthetics-era DIY pop; in fact, the album’s latest single “Someone New” is a jangling and breakneck, propulsive bit of guitar pop with razor sharp hooks that sounds as though it could have been quietly and quickly released in 1982, and was discovered by a collector in a random used record bin. Initially began as the solo recording project of the Seattle, WA-based multi-instrumentalist, singer/songwriter Peter Michel, Hibou quickly exploded into the national scene with his self-produced, home recorded, 2015 self-titled debut, which received praise from Pitchfork, Stereogum, Consequence of Sound and others for crafting shimmering yet introspective bedroom pop. And adding to a growing profile, Michel opened for the like son Metric, Phantogram and Unknown Mortal Orchestra. Michel’s sophomore Hibou effort Something Familiar is slated for a March 2, 2018 release through Barsuk Records finds Michel embracing a number of changes. The Seattle, WA-based singer/songwriter, multi-instrumentalist and producer made a rather conscious choice to track the album’s material in a real studio — this time, Chris Walla‘s Hall of Justice Studios, with an outside producer, Dylan Wall, who has worked with Craft Spells, a band that Michel once played drums in. Adding to a string of changes to his creative and recording process, Something Familiar finds Michel recording with his touring band. “I toured for a long time with the band, and it was really interesting to see how the songs changed when there were four people playing them, as opposed to just me in my bedroom,” Michel explains in press notes. “Junipero Love,” the latest single off Hibou’s forthcoming, sophomore effort was reportedly inspired by the Emmy Award-winning “San Junipero” episode of Black Mirror. Interestingly, Michel found common ground with the episode’s protagonist Yorkie, who navigated two different realities and a burgeoning relationship. “The contrast between the two worlds depicted in the episode hit very close to home for me,” Hibou’s creative mastermind says in press notes. “I often feel torn between a conscious state and losing a hold of my memories and who I am.” And while the single will further cement Hibou’s reputation for crafting breezy and shimmering guitar pop, there’s a subtle expansion of his sound as you’ll hear a tight and funky groove throughout; but underneath the breeziness is a wistful and bittersweet tone that suggests that the song’s narrator isn’t quite sure if he’s dreaming or awake or if he’s experiencing is actually real.